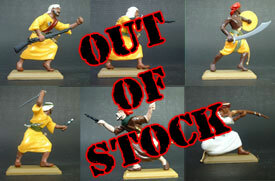 6 figures in 6 poses, original figures from DSG. 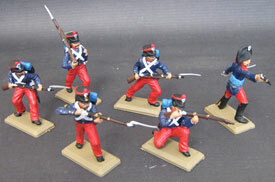 The early French Foreign Legion around 1831 with the first uniform. 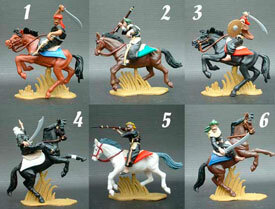 6 mounted figures from DSG in 6 poses. 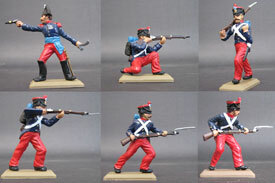 The early French Foreign Legion around 1831 with the first uniform. The flagbearer carries the first flag of the French Foreign Legion, received in June of 1832 from the King Louis-Philippe. 6 figures in 6 poses. 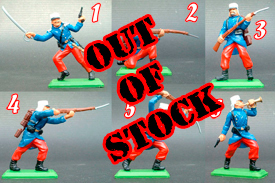 6 figures in 6 poses. .
6 figures in 6 poses. 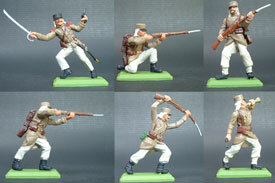 Colour Variation from Foreign Legion Set, showing the uniform used for the Legion in Mexico. 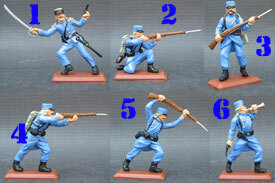 6 figures in 6 poses. Showing the Legion with the uniform used in Mexico. 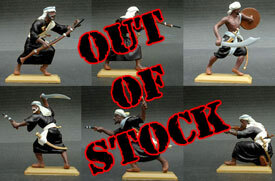 6 figures in 6 poses. 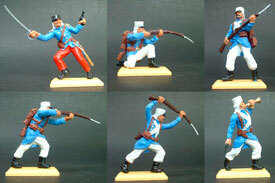 Colour Variation from Foreign Legion Set, showing the uniform used at the begining of the twenty century. 6 figures in 6 poses. 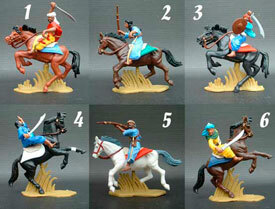 Colour variation from Foreign Legion mounted set. The horses colours and horses could change. 6 figures in 6 poses. 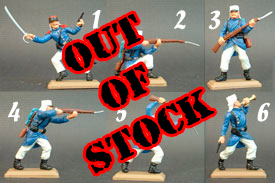 Colour Variation from Foreign Legion Set. 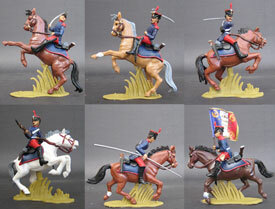 BAFL20/Britains Deetail reissued by DSG: Mounted French Dragoons in Mexico. 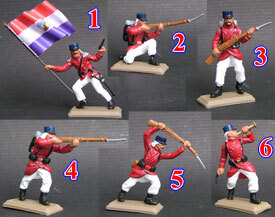 7 figures in 7 poses, with a flagbearer and the regimental flag. 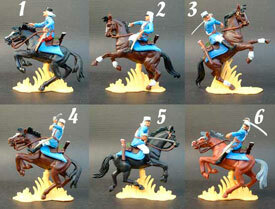 Colour variation from Foreign Legion mounted set, exclusive from DSG. 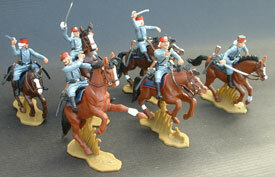 Represent one of the French cavalry regiment that fought in the Maximilian adventure in Mexico. The horses colours and horses could change. 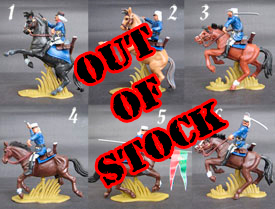 BAFL21/Britains Deetail reissued by DSG: Spanish American War: Hussars of Pavia. 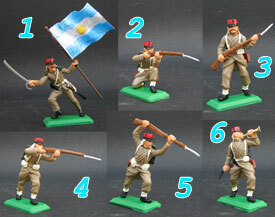 7 figures in 7 poses. 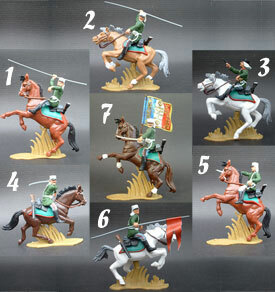 Colour variation from Foreign Legion mounted set, exclusive from DSG. 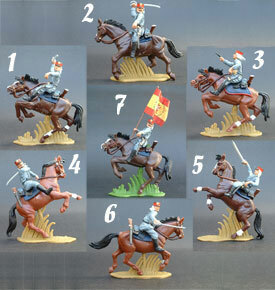 The set represent the Spanish 20th. 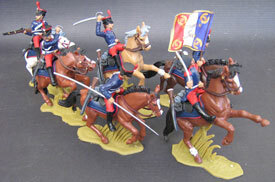 Cavalry regiment, Hussars of Pavia, with the uniform ussed in the Spanish American War. 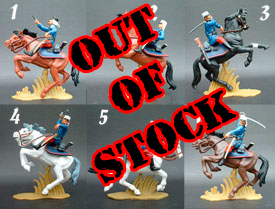 Are 1 officer, 1 flagbearer with the regimental flag and 5 soldiers, all mounted. The horses colours and horses could change. 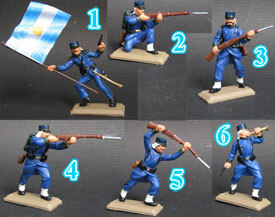 6 figures in 4 poses, one of them with flag. The clothes colours could change. 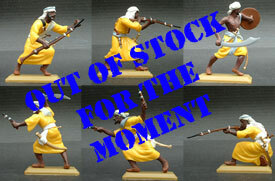 6 figures in 6 poses. The clothes colours could change. 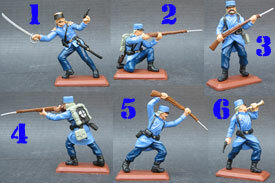 6 figures in 6 poses.The set could be slightly different from the image. 6 figures in 6 poses. The horses colours and horses could change. 6 figures in 6 poses. 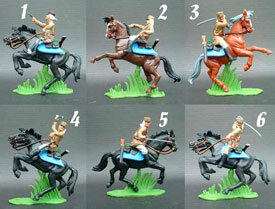 The horses colours and horses poses and the clothes colours can to vary. 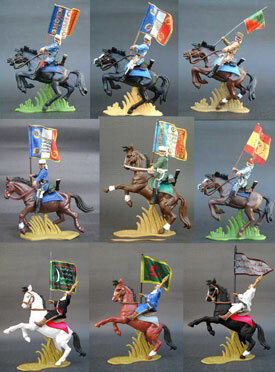 8 figures in 8 poses, 4 on foot and 4 on horseback, one of them carrying the Saladin Flag. The horses colours and horses could change. 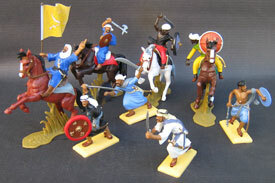 Factory convertion from foreign legion and arabs figures, all mounted. 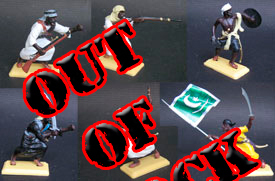 Each figure come with an exclusive FLAG or a battle damaged flag. Please add the letter D to the code if you want battle damaged flag. 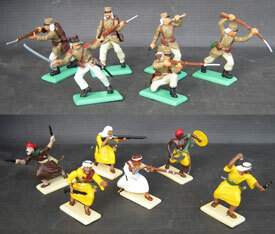 The arabs flags could change. 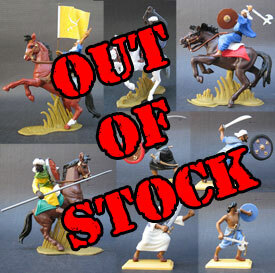 All the foot sets are availables in metallic bases. All logos, brand and product names used in this page are trademark of their respective companies.